Musician and actor Joe Jonas was born on August 15, 1989 in Casa Grande, AZ to parents Denise and Kevin Jonas, Sr. His mom used to be a sign language teacher and his dad, whose colon cancer is in remission, opened the restaurant Nellie’s Southern Kitchen in Belmont, NC in 2016. 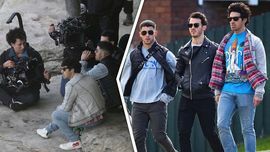 Jonas and his three brothers—Kevin, Nick, and “Bonus Jonas” Frankie—grew up in Wyckoff, NJ. He made a splash in 2005 as a member of the Jonas Brothers with Kevin and Nick. 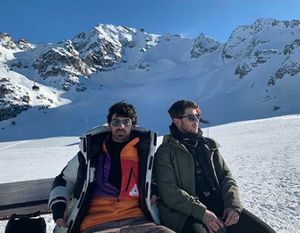 Their debut album, “It’s About Time,” dropped in August 2006, followed by “Jonas Brothers” in 2007, “A Little Bit Longer “in 2008, and “Lines, Vines and Trying Times” in 2009. The group split in 2013 and abruptly cancelled their tour. Jonas assembled the group DNCE in 2015 and the band released the hit debut single “Cake By The Ocean Floor” and won Best New Artist at the MTV Video Music Awards. Jonas starred in the 2008 Disney Channel movie “Camp Rock” with Demi Lovato. He and actress Sophie Turner announced their engagement in October 2017. Yes, We Like Pina Coladas ... And PDA in the Pool!!! 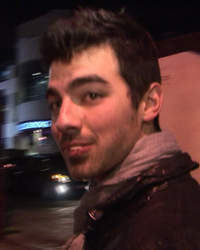 Joe Jonas Is Losing His Abs Before His Wedding!